RETS vs FTP IDX - Which MLS Listings Feed Will Power Up Your SEO? 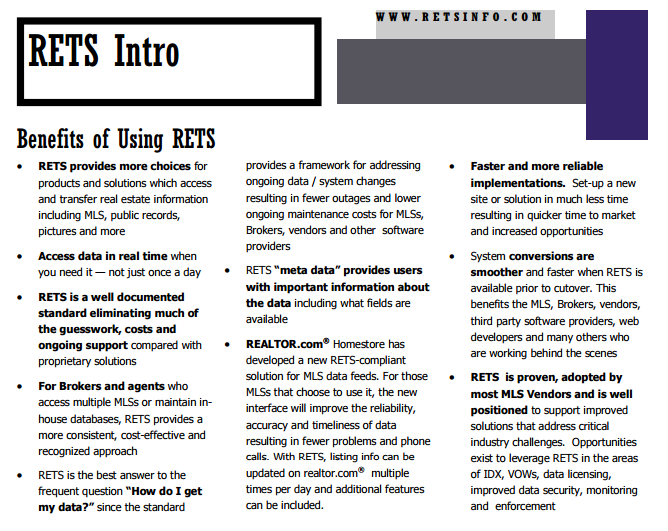 Realtors: Are You Using the New RETS Technology? The first thing visiting homebuyers want to see on your real estate website are home listings. But when they arrive, they may get a troublesome map widget to frustrate them, or mls listing pages with uninteresting and non-engaging pics and descriptions. Add to that an ugly slow website with a poor unclear value proposition and wow, you’ve got a lead killing wonder. What’s worse, is that your current listings aren’t indexable by Google so you’re getting no free Google referrals. That old technology called ftp IDX is ruining your impact and engagement with your prospects and eliminating your Google search engine rankings and referrals. Let them search quick, and then enjoy what they find. Oh and Google needs to find all the mls listings too! The MLS Property Listings are a valuable Marketing asset — people love to view the homes. This blog post gives you a look at a resource you probably have little knowlege of — the new RETS IDX standard. Realtors who are technical whizzes do know about the MLS database feed, and they like to keep it to themselves. If you’re a professional Realtor hoping to keep pace in the digital era, you need to know about the new standard. You can leverage it for a serious advantage online. Do you know another Realtor who has no website or one that’s ineffective? Please pass this on to them. You may have heard some talk about the IDX feed at your meetings, conventions, or conversations with other agents. But there’s a distinction that’s rarely mentioned, because it’s technical and no one understands it. I want to make that clearer in this post. Not only does RETS make a technical difference, it also enables tremendous content creativity — and this is where Google traffic and improved content engagement can pull in prospects for you. Choosing the right IDX RETS provider is very important and I want to lead you to the right one. One simple change could open the floodgates for traffic to your site. It’s time to take a look at the RETS IDX framework and maybe decide to start using it. What is your MLS’ IDX? IDX is the Internet Data Exchange. It’s simply a format that allows the visitor’s web browser to load the MLS listing info into the page for viewing. Yet FTP or file transfer protocol is an outdated technique which has some substantial setbacks. In today’s competitive marketplace (Google) using FTP could mean your SEO and content strategy may fail. RETS is the new solution. Does your MLS support RETS? Find out here. Does NAR and Realtor.com Promote RETS? Take a look at their pdf that elaborates on the many benefits of RETS. How Much Traffic can the RETS Framework Produce? How much traffic could you expect by using the new RETS framework? With 10,000 home listings and more unique pages generated, you could have 15k to 20k pages indexed in Google. One very successful agent I know of has 90,000 pages indexed in Google. That’s what you call a formidable Google presence. This video from SEO RETS gives a good introduction and is one potential solution that can increase your visibility and leads using RETS. I’ve worked on quite a few Realtor web sites which used the FTP IDX standard. It required mental gymnastics to get the pages to perform in Google or Yahoo. There are hundreds of millions of MLS pages live online, but they’re barely visible, slow loading and not indexed by Google. Sometimes Google can’t even reach them! And I’ve worked with the iframe solution you may also be familiar with. That was the worst solution ever and agents are still using it. While working with one client who was using the IDX FTP Framework with Real Estate Webmasters, I actually did some custom optimization, a workaround, that allowed me customize those pages. It was a powerful SEO technique, and one that Real Estate Webmasters began utilizing themselves. But the FTP method doesn’t work well enough to compete today. 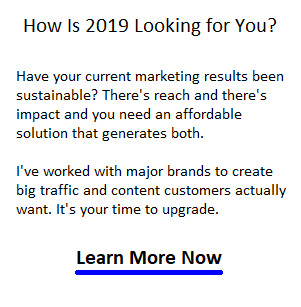 The new RETS system I want to introduce you to has the full power you need to dominate the Google results and improve impact and engagement with your visitors. Take a good look at your current content and assess whether it has awesome impact and engagement. Visitors love home listings, but they’re usually very dull. Yes, you can use it with your WordPress site. The end result could be career changing for any agent or broker just learning about this stuff. I’ve listed some RETS IDX site providers below. You can ask them your questions on cost and functionality. 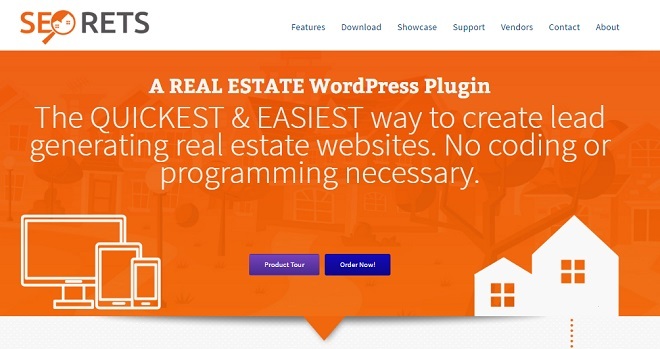 There are web design and real estate site development companies that sell RETS based websites and this likely is the best route to go. However, don’t hire them to do your marketing. They’re programmers and web designers, not Internet content and SEO experts. 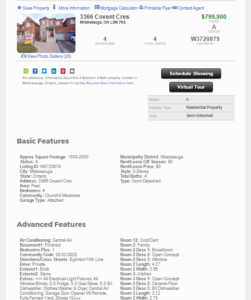 The MLS™ listings are extremely powerful if you use them right. Combine them with blogs and your Facebook posts and you’re giving homebuyers precisely what they want. RETS and FTP are the two formats of data that your IDX uses. FTP has no flexibility and is impossible to use creatively. 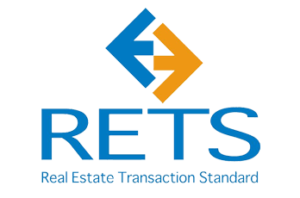 RETS on the other hand offers flexibility to utilize whatever data you want to include from the MLS property listing feed. The MLS feed is just a big spreadsheet database and you pluck whatever you like out of it into your pages. So your pages don’t have to be copies of 4000 other realtors using the same data. Your site must be unique. Google loves unique and so do your human prospects. Most agent IDX platforms use FTP to access the listing IDX feed. This feed as it’s called is actually a simple spreadsheet or .csv file with all the listing details of the homes for sale. The data is held on your MLS server. When a visitor views a page of mls listings on your site, the page data comes from the csv file on the mls server (and you can have a copy of this file located on your server). Pass this post on to other agents in your office. With ftp feeds, the whole listing is downloaded rather than the bits and pieces that have been updated. Considering the MLS feed is many hundreds of gigagbytes, the servers get bogged down. That slowness is not appreciated by your visitors who might be viewing on a mobile device. And Google and Bing don’t like the slowness either, so they’ll lower your search engine rankings. Your MLS server too, may actually be very slow, something you can’t control, unless you get the idx feed placed on your own hosting platform. Then you can get superfast hosting and be Google friendly! Your MLS listing page is the same as thousands of other agent’s listing pages Google has indexed. So Google’s spam team and anti-spam filters will seek to reduce that glut of duplicate pages (duplicate content) in the search results by focusing on the top real estate domains. Thousands of other agents may have the same listing on their site, but Google’s not going to show their pages in the search results. If they did rank at all, it might be ranked 945th. Most often now, Google won’t let searchers go down that far into the results. They’ll force the searcher to do another search using different keywords. Duplicate content isn’t subject to a penalty, unless there’s lots of it. Most times, Google will just ignore your duplicate content and only show the top 20 or so sites with that particular “syndicated” content. Your site needs to be optimized so it’s considered the premium website by everyone. Remember too, that with social media sharing, people won’t share something that’s not valuable and unique, looks good, and loads fast. Does Your Site Use the FTP IDX Feed? It almost certainly does. And worse, it does it in a plain, mediocre way that loads all the MLS data into your page. Sort of like getting your food at the mess hall kitchen. It’s slopped onto your plate, good or bad, same as all the others. It is what it is. Why is This RETS Stuff Getting So Much Attention? RETS has so many advantages: customization, speed, fast updates and more. For developers, RETS is written in XML which provides more standardization so it can be used in endless applications. RETS data can be loaded in pieces which allows you to present what you want about the listing in the way you want. The result is a listing page that reads better, is more interesting and engaging (please note that your MLS compliance board will want to approve your pages according to their compliance standards). RETS fits nicely with a customized content strategy where you can place your own optimized content into the page. Besides the page load time advantage, we can creatively select the listing information and create more pages using that data. And we can bring in unique, well optimized engaging content into the page. This increases the page’s uniqueness, something Google likes and generates more impact and user engagement. If people stay on that listing page longer, Google sees this. Google will raise the ranking of pages that people are engaged with and return to again. This only makes sense. Google wants good content, not duplicate content. When I optimize pages, Google considers them unique and will give the page a shot at a high ranking. I can create more pages and much more well-optimized pages. Some agents have as many as 90,000 pages indexed in Google. How about that army of pages competing to gather as many homebuyers as possible via Google or via social media shares? Because RETS data can be sliced and diced to a certain degree, you can create a much more engaging and persuasive experience for visitors. You’ve worked hard or spent a lot of money on Facebook or Adwords ads so you need to increase your visitors to subscriptions and phone calls rate. RETS gives us Content/SEO Strategists a lot of tools and flexibility to win the ranking wars, and to maximize visitor engagement. Those are 2 key goals in our quest to build Realtor leads and commissions. 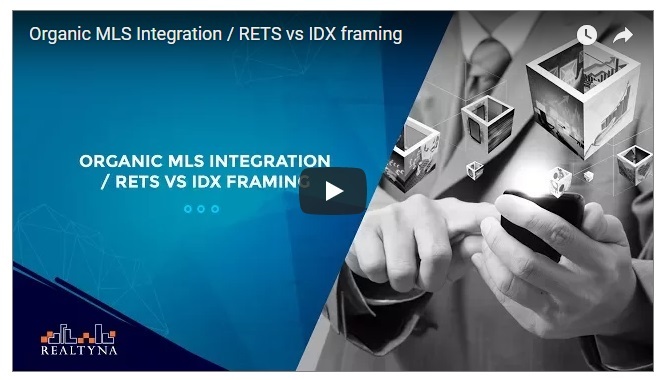 If you’re still using the framed IDX solution or the standard FTP service, you should look into the RETS solution. Your website is an asset if you treat it like one. What are the Issues you’ll face when Examining RETS IDX solutions? is the solution hosted on your website (not theirs)? who will help you customize the layout and content of your pages? do they include a high converting CRM system with it? can you use any WordPress template or only theirs? what limitations does their system create? There are issues to face when you’re shopping for the best solution. Of course, you want it all and you want it right now, but I know the choices are tough and you’ll need to compare a lot and make decisions. It’s never easy to be the best! RETS Programmers/Websites: (I have one more that’s excellent, but you’ll have to become my client to find out). Simply RETS: https://simplyrets.com/services – WordPress plug-in and a marketing analytics add on. There’s a lot to learn about RETS IDX and how to plan, otpimize and implement.